We love large data sets - structured and unstructured! Big Data - the three V's of data still dominate the landscape. Volume - Organizations collect data from a variety of sources, including business transactions, social media and information from sensor or machine-to-machine data. In the past, storing it would’ve been a problem – but new technologies (such as Hadoop) have eased the burden. Velocity - Data streams in at an unprecedented speed and must be dealt with in a timely manner. RFID tags, sensors and smart metering are driving the need to deal with torrents of data in near-real time. Variety - Data comes in all types of formats – from structured, numeric data in traditional databases to unstructured text documents, email, video, audio, stock ticker data and financial transactions. Analytics - Enjoy the benefits of advanced analytics without the complexity. Discover relationships. Test correlations. Develop outlooks that can guide you to your next great achievement. Search for insights in your own voice and instantly get answers. Smart data discovery, automated predictive analytics and cognitive capabilities enable you to interact with data conversationally. So if you need to quickly spot a trend or your team wants to view insights in a dashboard, C X-Stream has you covered. 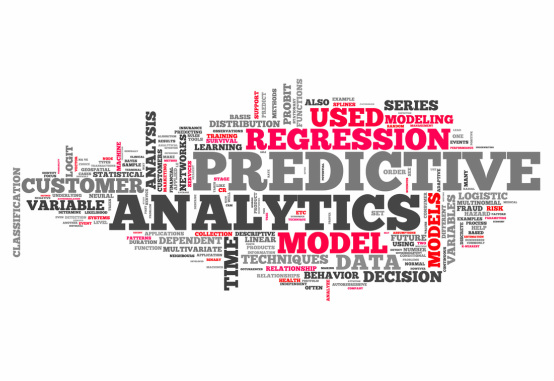 Building predictive models: Predictive modeling is a process that uses data mining and probability to forecast outcomes. Each model is made up of a number of predictors, which are variables that are likely to influence future results. Once data has been collected for relevant predictors, a statistical model is formulated. The model may employ a simple linear equation or it may be a complex neural network, mapped out by sophisticated software. As additional data becomes available, the statistical analysis model is validated or revised. Predictive modeling is often associated with meteorology and weather forecasting, but it has many applications in business. Bayesian spam filters, for example, use predictive modeling to identify the probability that a given message is spam. In fraud detection, predictive modeling is used to identify outliers in a data set that point toward fraudulent activity. And in customer relationship management (CRM), predictive modeling is used to target messaging to those customers who are most likely to make a purchase. Other applications include capacity planning, change management, disaster recovery, engineering, physical and digital security management and city planning. Natural language processing: Natural language processing (NLP) is the ability of a computer program to understand human language as it is spoken. NLP is a component of artificial intelligence (AI). Most of the research being done on natural language processing revolves around search, especially enterprise search. This involves allowing users to query data sets in the form of a question that they might pose to another person. The machine interprets the important elements of the human language sentence, such as those that might correspond to specific features in a data set, and returns an answer. NLP can be used to interpret free text and make it analyzable. There is a tremendous amount of information stored in free text files, like patients' medical records, for example. Prior to deep learning-based NLP models, this information was inaccessible to computer-assisted analysis and could not be analyzed in any kind of systematic way. But NLP allows analysts to sift through massive troves of free text to find relevant information in the files. Integrating and analyzing data: Data analysis, also known as analysis of data or data analytics, is a process of inspecting, cleansing, transforming, and modeling data with the goal of discovering useful information, suggesting conclusions, and supporting decision-making. Data analysis has multiple facets and approaches, encompassing diverse techniques under a variety of names, in different business, science, and social science domains. Data mining is a particular data analysis technique that focuses on modeling and knowledge discovery for predictive rather than purely descriptive purposes, while business intelligence covers data analysis that relies heavily on aggregation, focusing on business information. In statistical applications data analysis can be divided into descriptive statistics, exploratory data analysis (EDA), and confirmatory data analysis (CDA). EDA focuses on discovering new features in the data and CDA on confirming or falsifying existing hypotheses. Predictive analytics focuses on application of statistical models for predictive forecasting or classification, while text analytics applies statistical, linguistic, and structural techniques to extract and classify information from textual sources, a species of unstructured data. All are varieties of data analysis. Data integration is a precursor to data analysis, and data analysis is closely linked to data visualization and data dissemination. The term data analysis is sometimes used as a synonym for data modeling. Otimization problems and identifying trends.